1. A Tower of London Big Tom 2 FOR 1 promotional collar taken from a Big Tom bottle must be presented at the Tower of London ticket office during the promotion period to claim the promotion. 2. The offer is valid only during the promotion period from 1 December 2017 until 31 May 2018, excluding 26 March to 9 April 2018. 3. The Tower of London Big Tom 2 FOR 1 promotional collar admits two adults or one adult and one child for the price of one full paying adult, or two children for the price of one full paying child. 4. The offer cannot be used with or in addition to any other offer, promotion, discount or concession rate and applies only to normal adult or child one day admission tickets (see point 3 above) bought at the Ticket Counter at the Tower of London. 5. Only one Tower of London Big Tom 2 FOR 1 promotional collar may be used per two people. 6. Copied, re-printed, photocopied, forged or defaced promotional collars will not be accepted. 7. There is no cash alternative in lieu of using a 2FOR1 voucher to visit the Tower of London. 8. Exchange, re-sale of sale of vouchers is strictly prohibited. 9. The Tower of London accepts no liability for lost or stolen vouchers. 10. 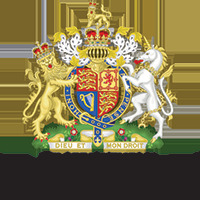 The Tower of London accepts no responsibility for loss of property/injuries/or accidents that may occur during visits or whilst taking part in any of the activities. 11. The Tower of London reserves the right to refuse admission where these conditions have not been adhered to, and will make no reimbursement for unused tickets.